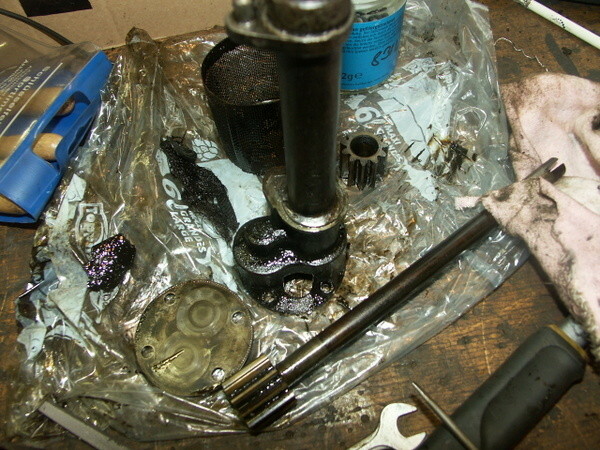 Oil pump dissassembled and all parts cleaned. 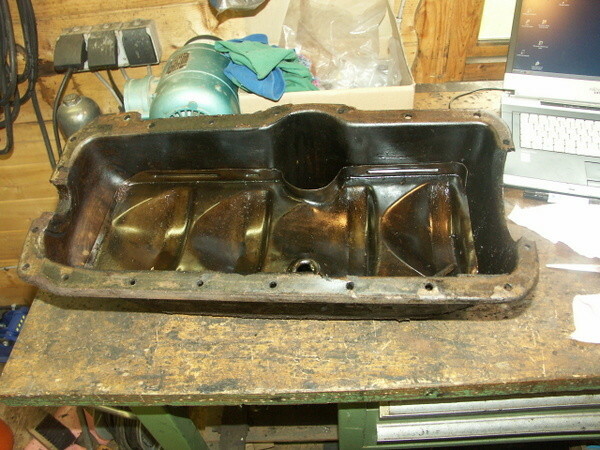 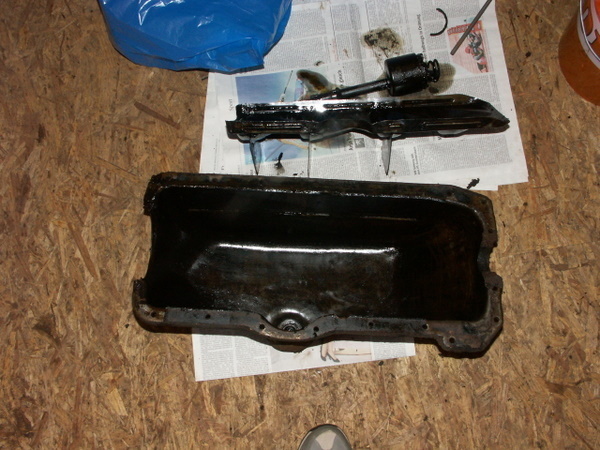 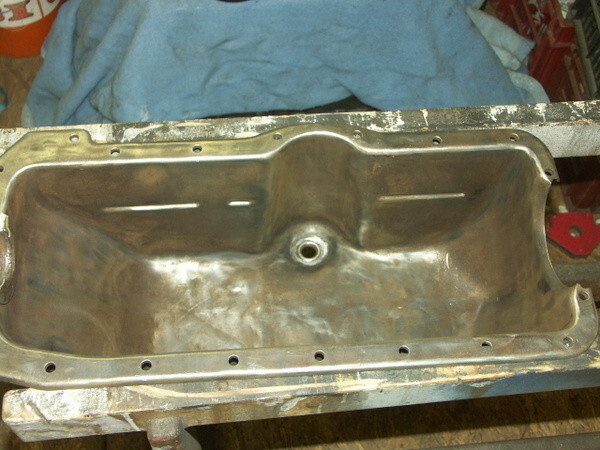 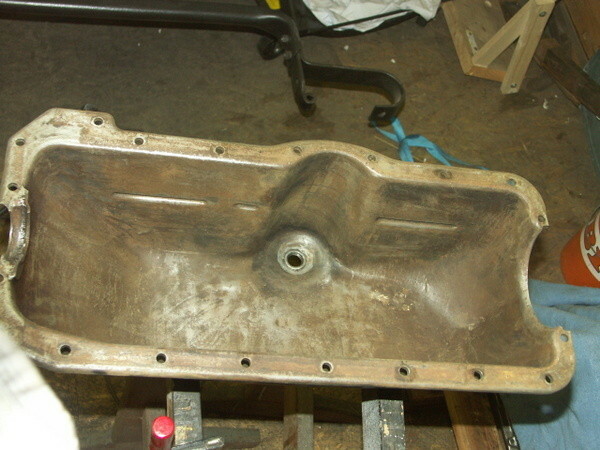 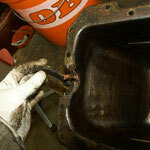 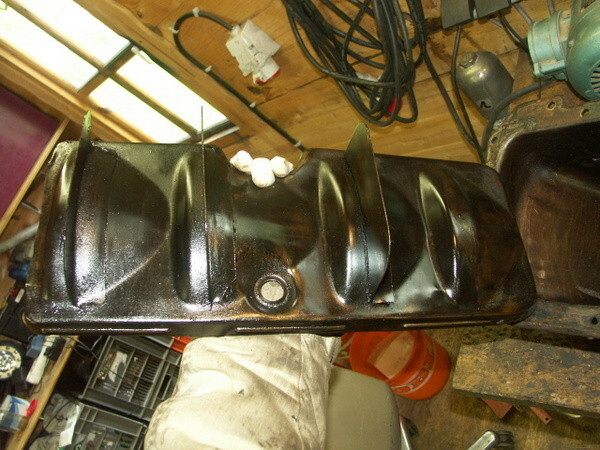 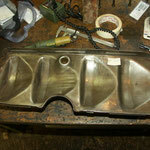 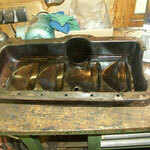 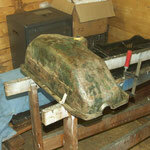 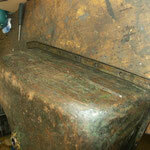 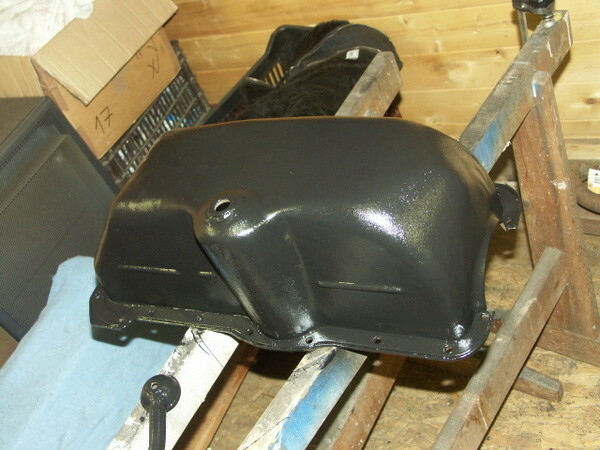 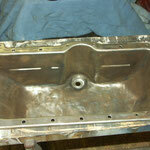 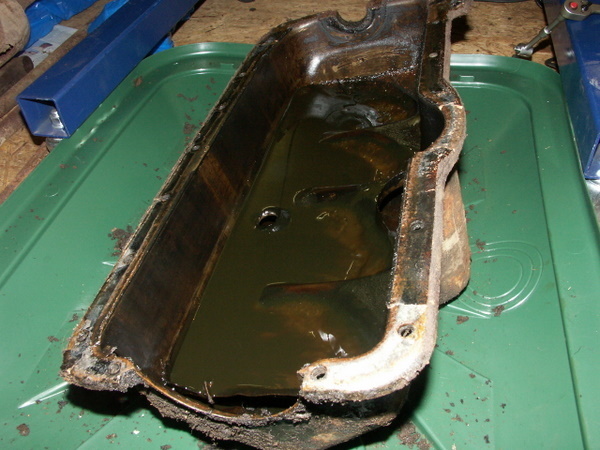 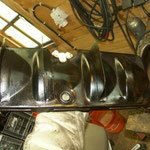 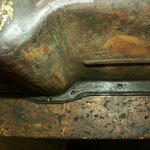 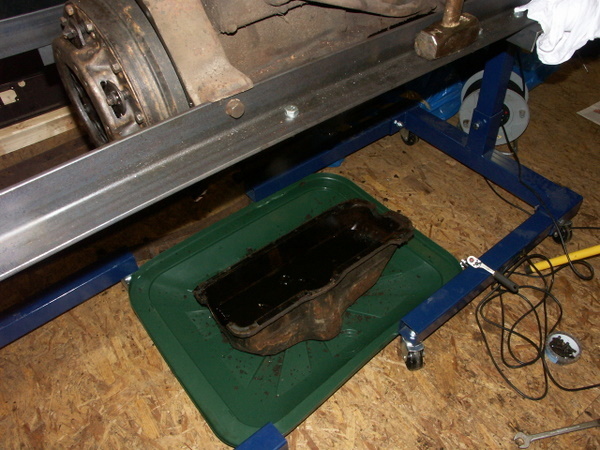 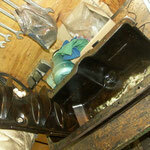 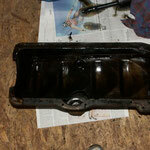 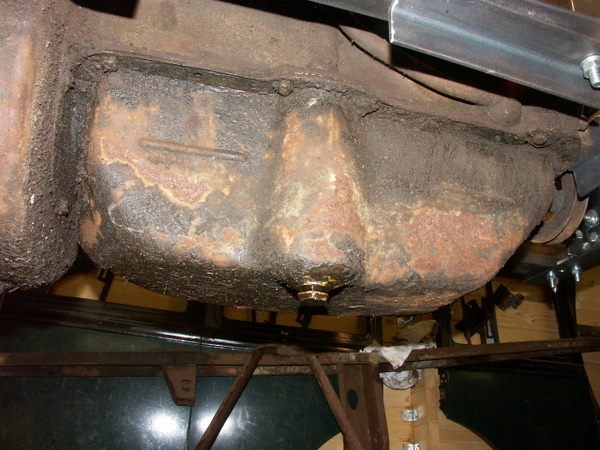 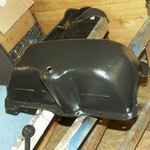 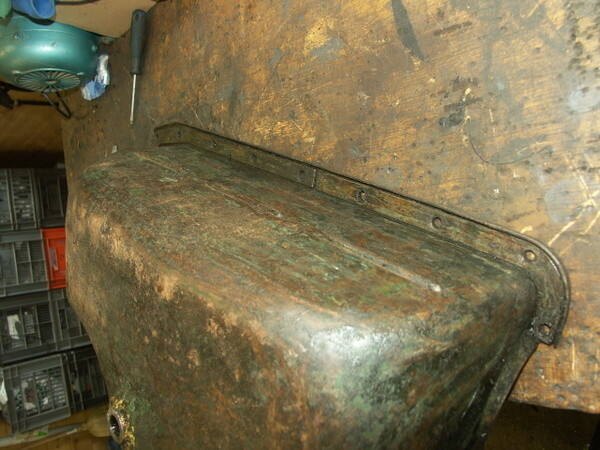 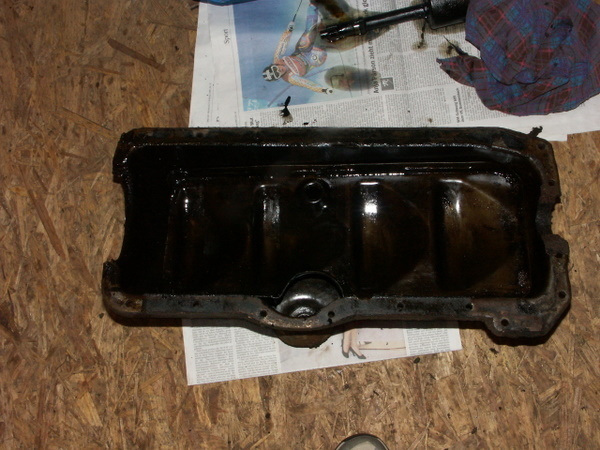 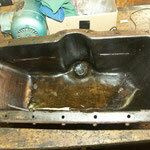 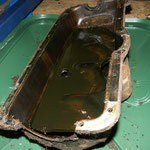 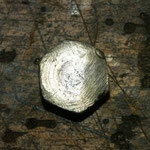 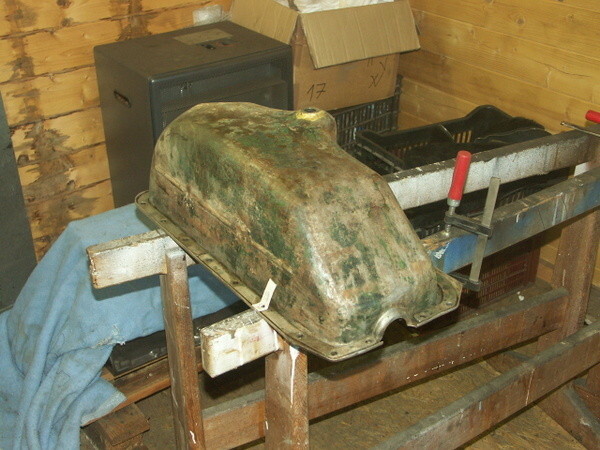 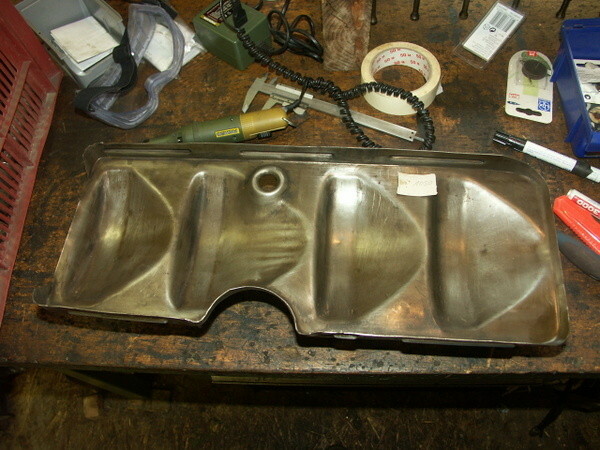 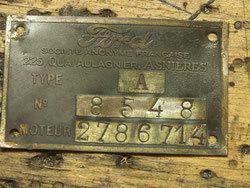 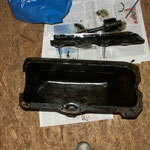 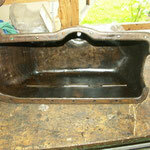 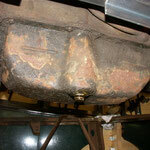 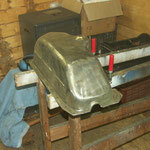 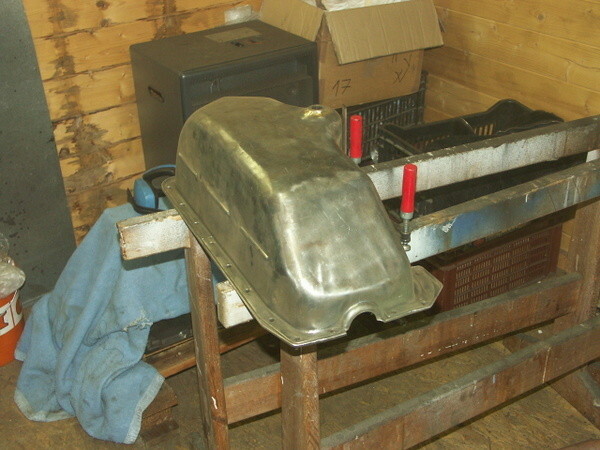 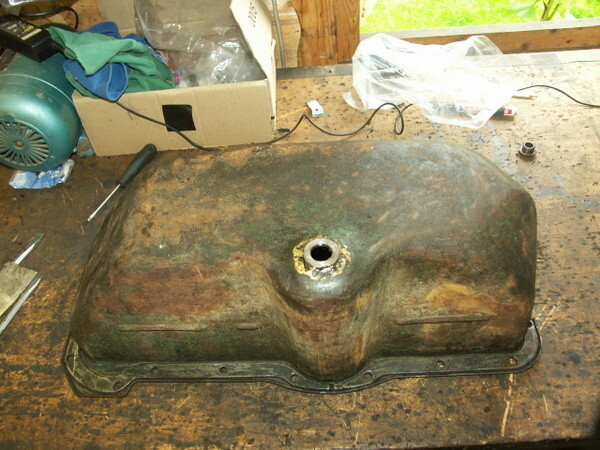 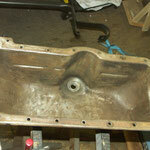 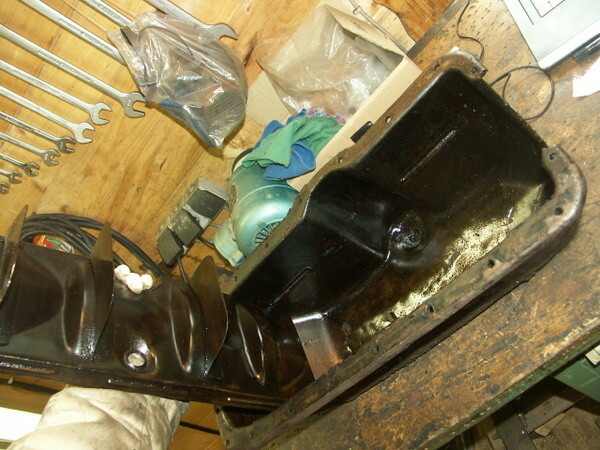 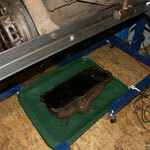 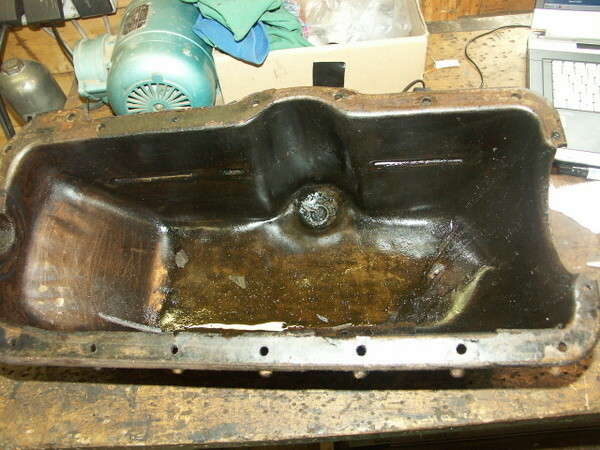 Oil pan is finished: Washed in Diesel, paint and deposits removed with a wire brush, painted with branth 3 in 1. 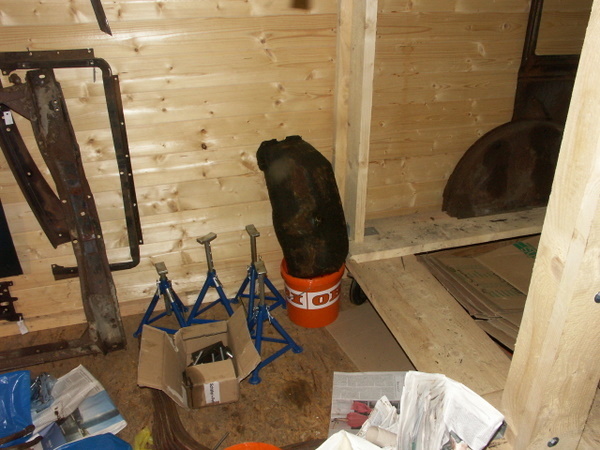 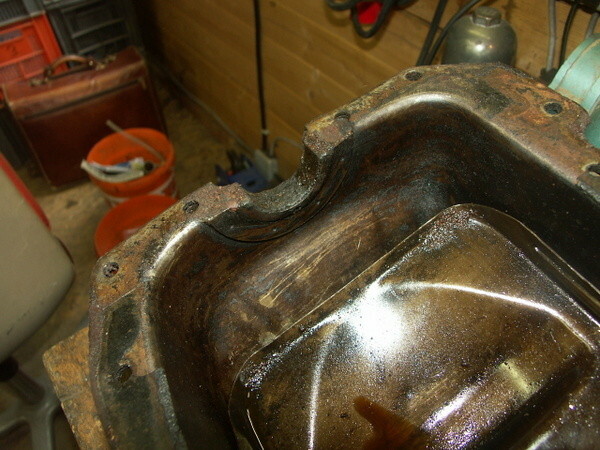 August 15th 2013: Oil pump is finished. 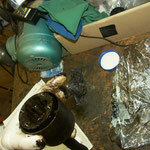 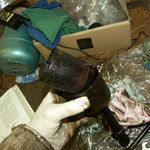 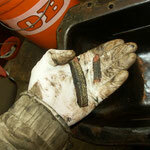 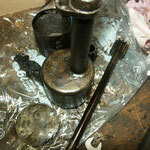 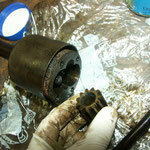 Oil pump dissassembly and cleaning: There were no screws to hold the cover, it was a press fit. 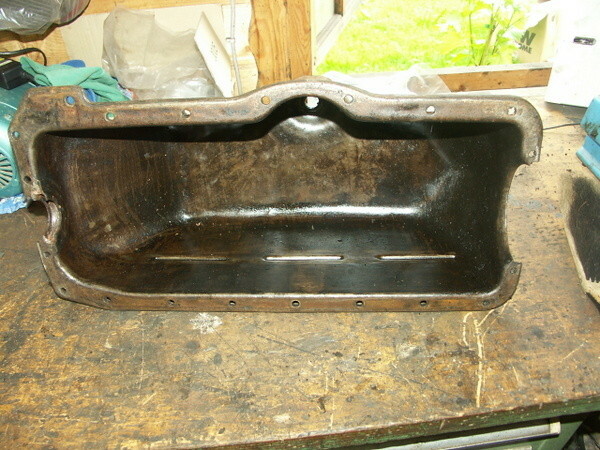 Oil Pan: Cleaned in Diesel, then wire brushed and painted with branth 3 in 1. 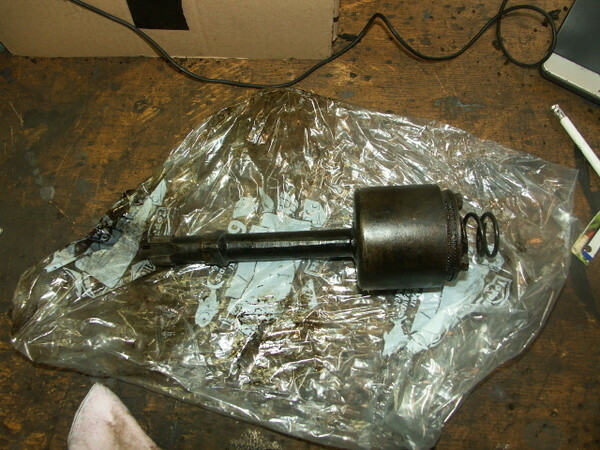 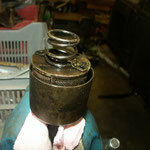 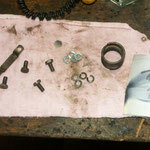 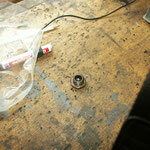 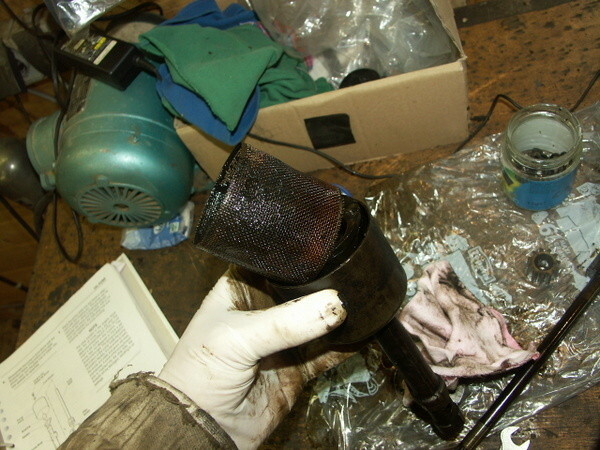 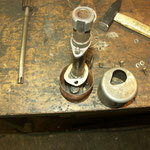 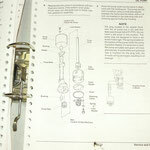 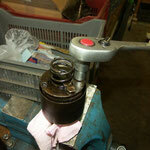 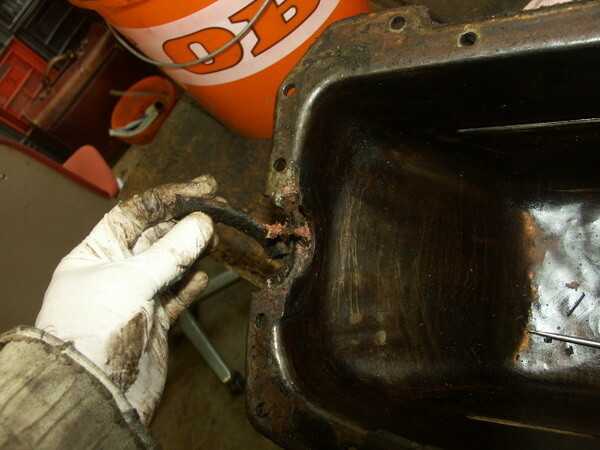 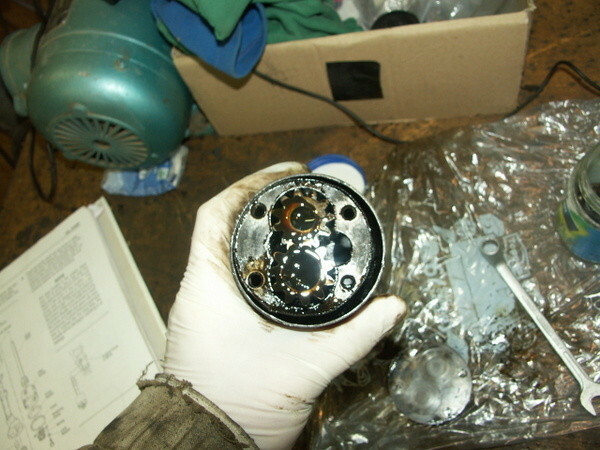 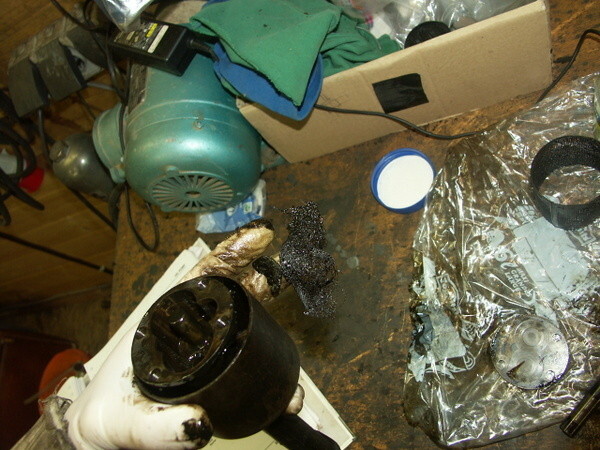 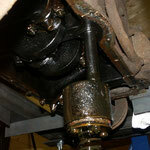 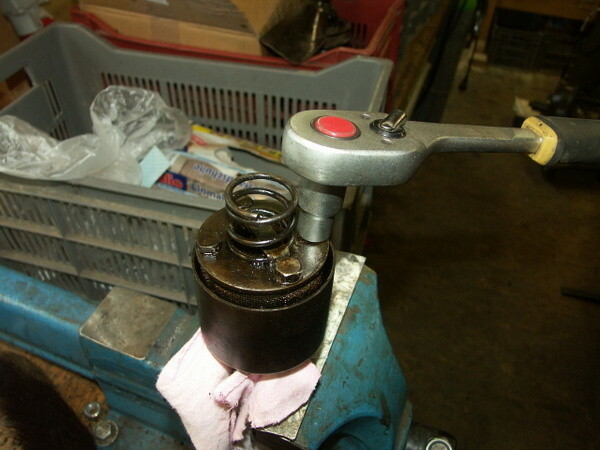 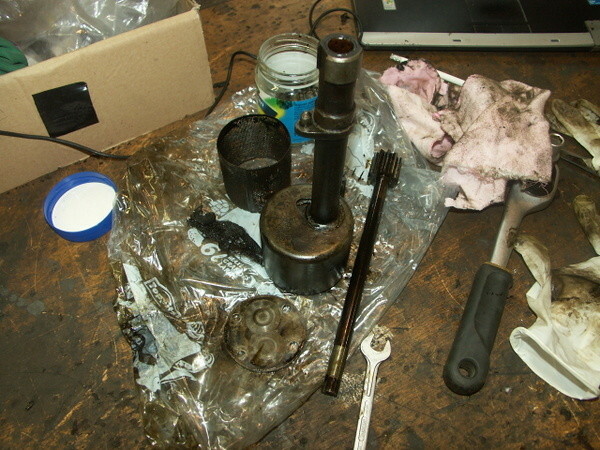 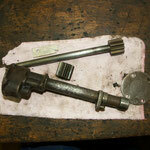 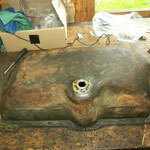 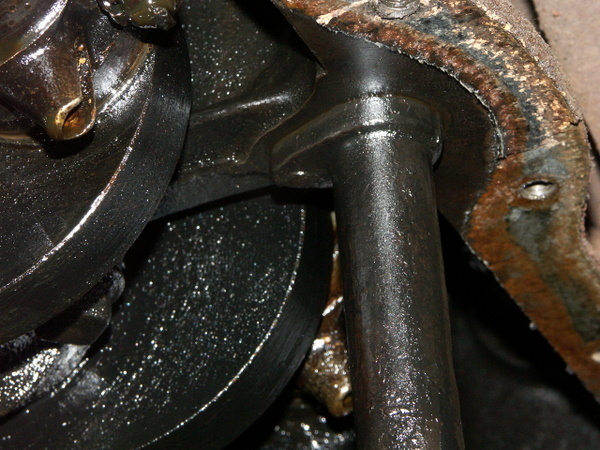 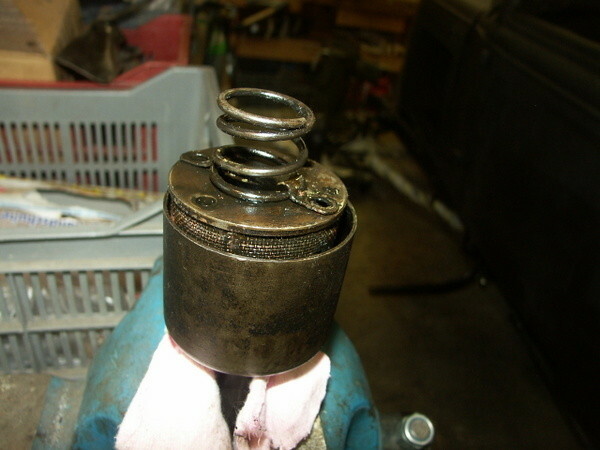 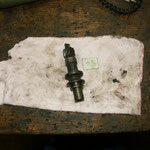 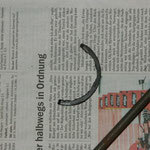 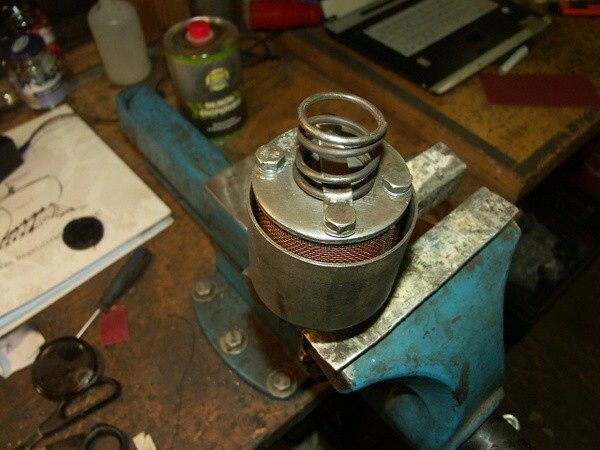 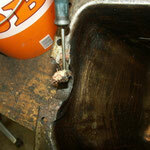 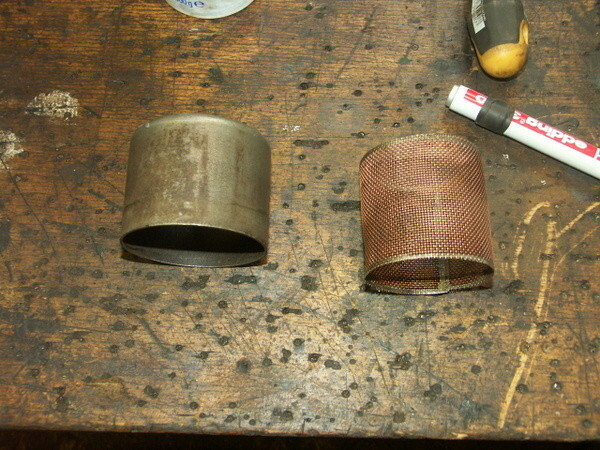 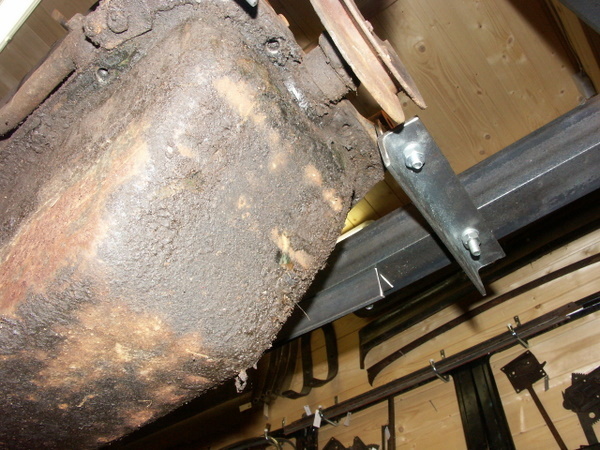 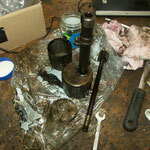 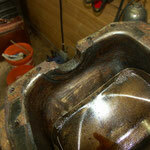 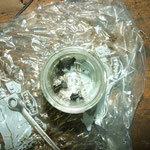 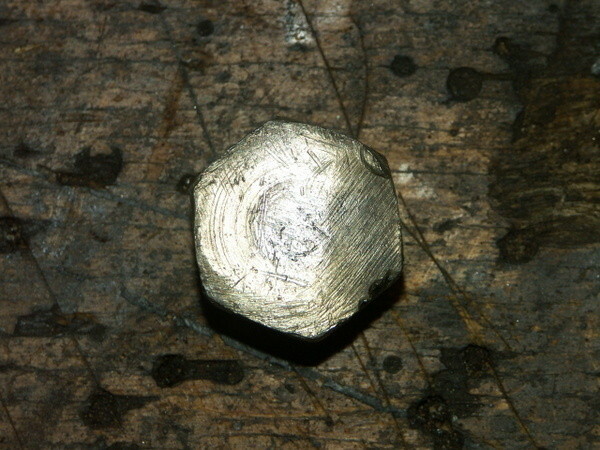 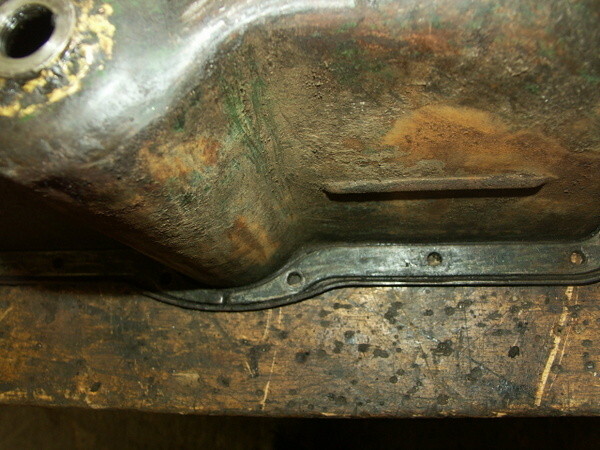 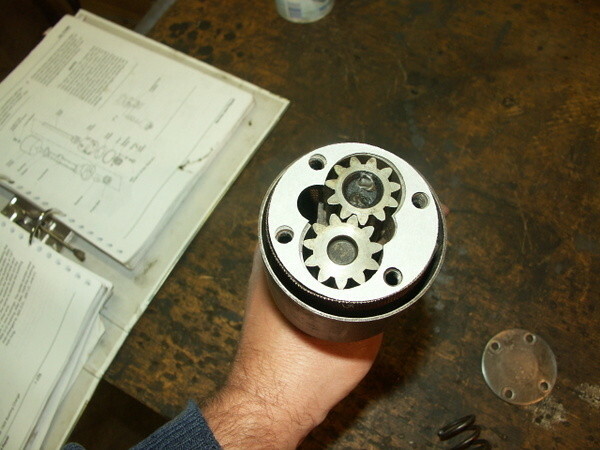 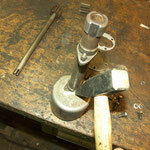 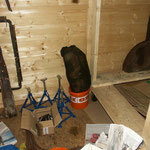 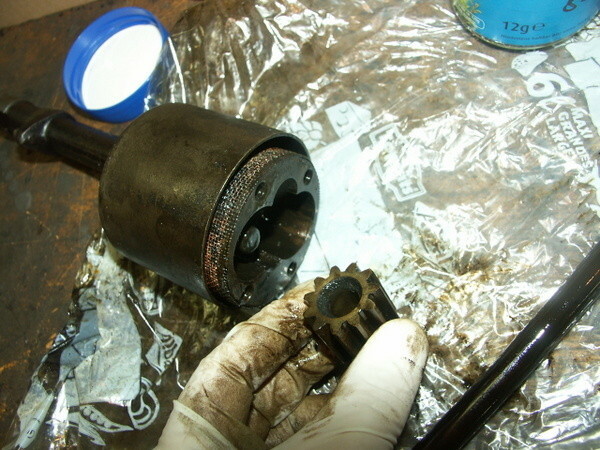 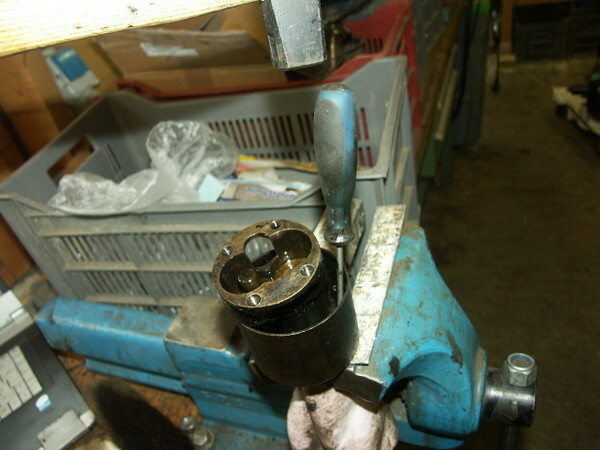 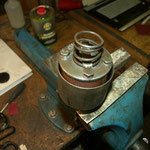 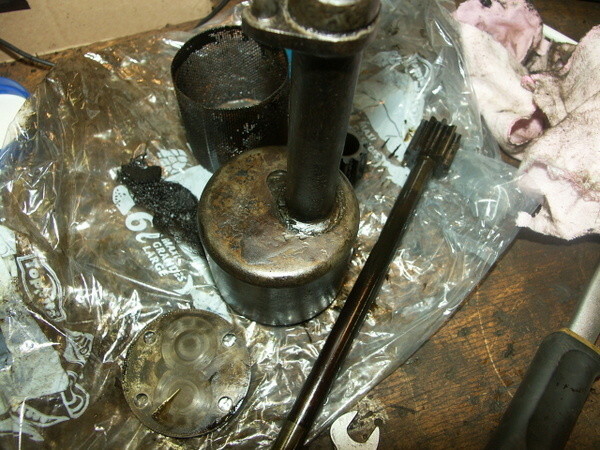 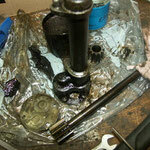 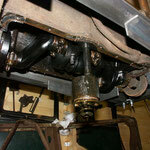 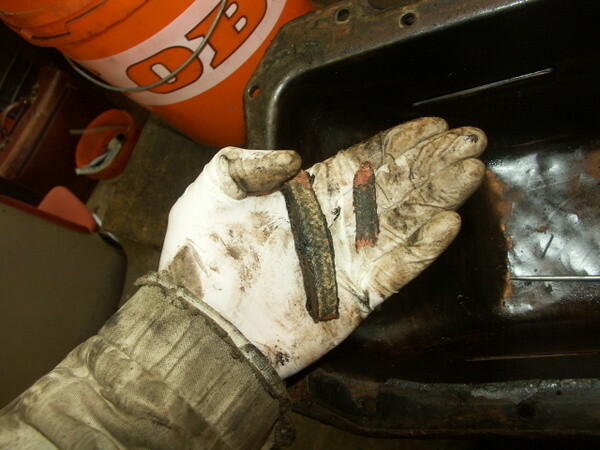 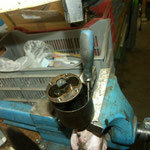 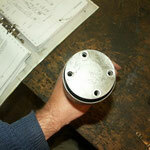 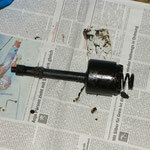 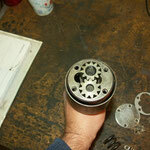 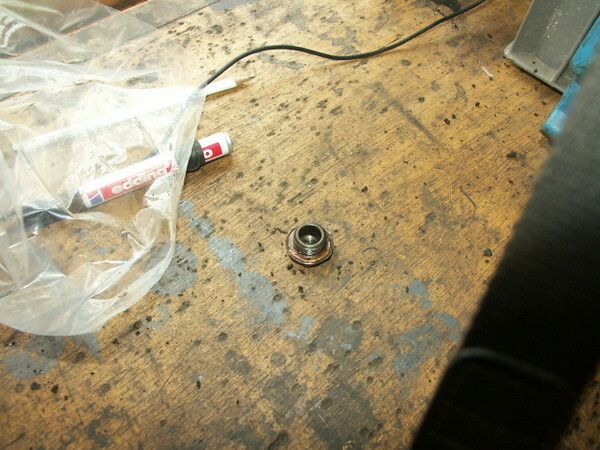 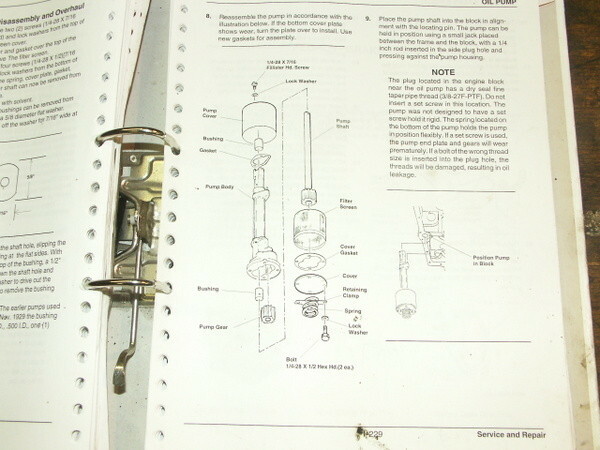 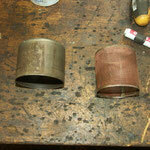 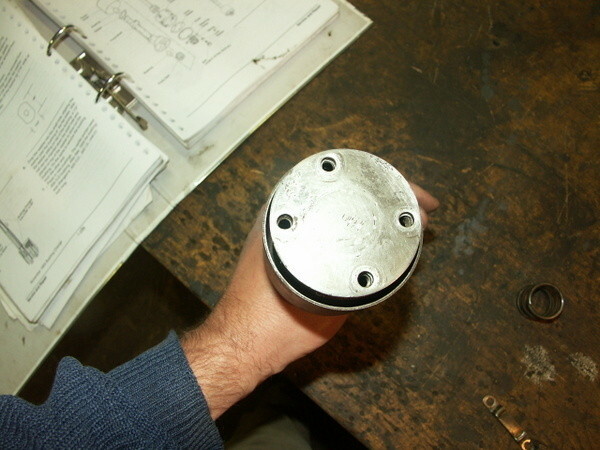 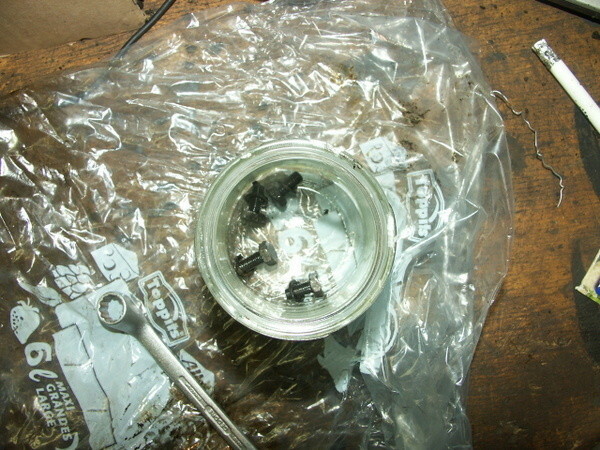 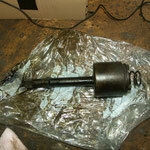 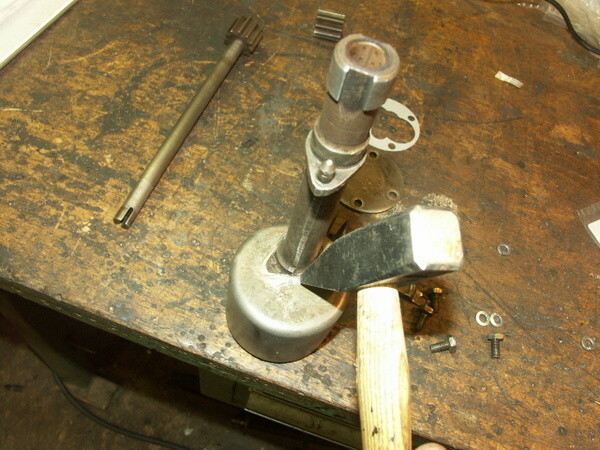 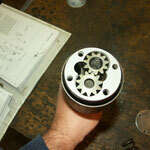 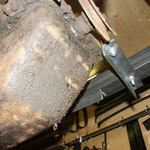 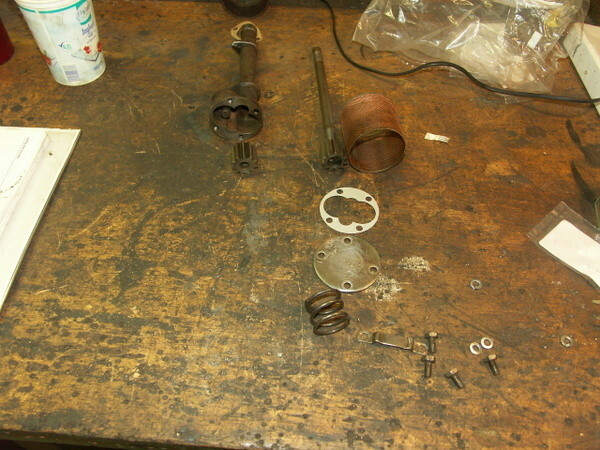 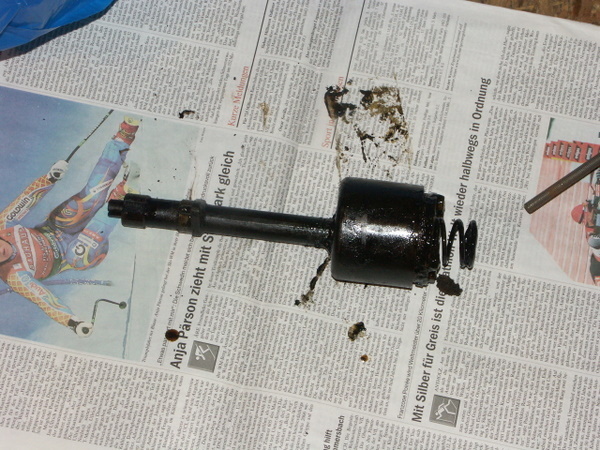 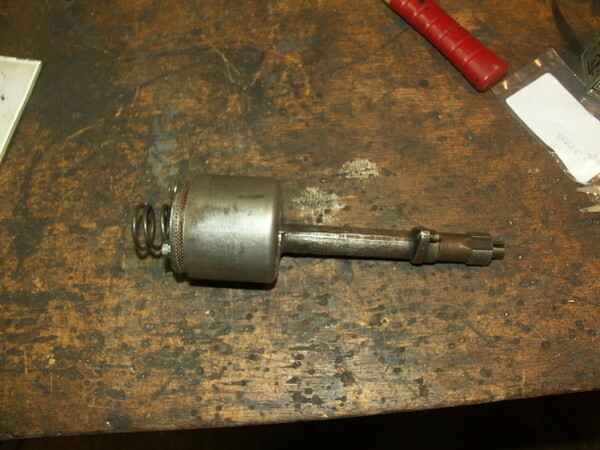 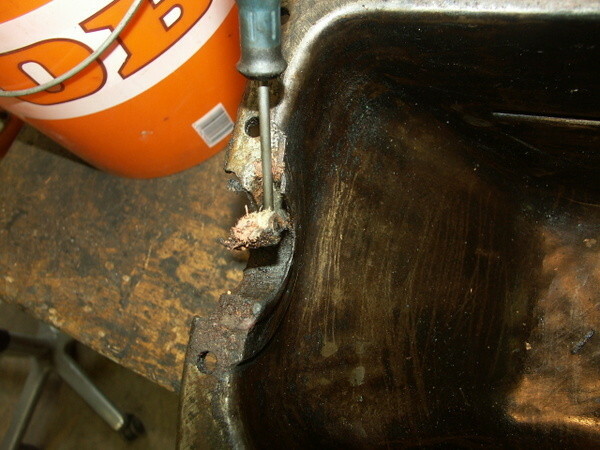 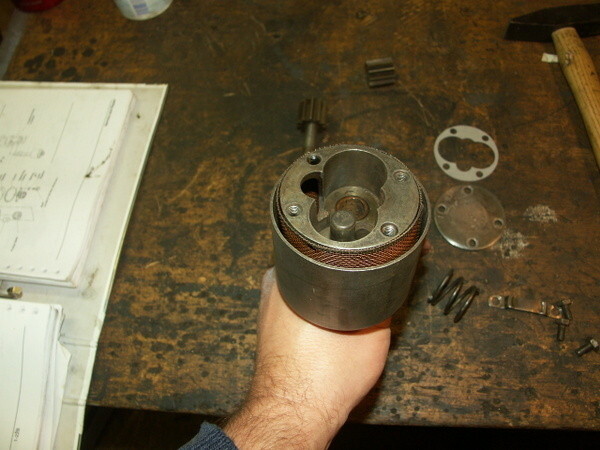 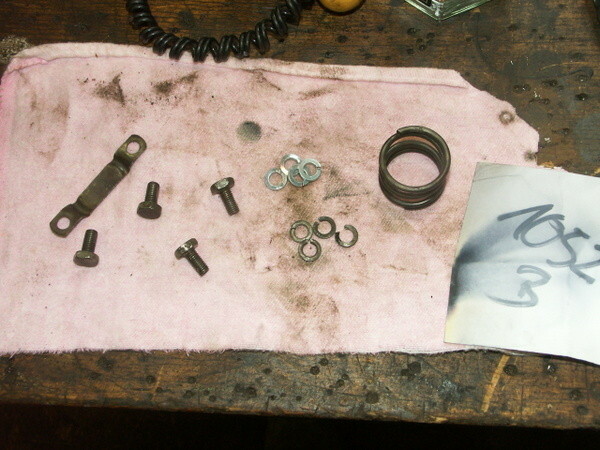 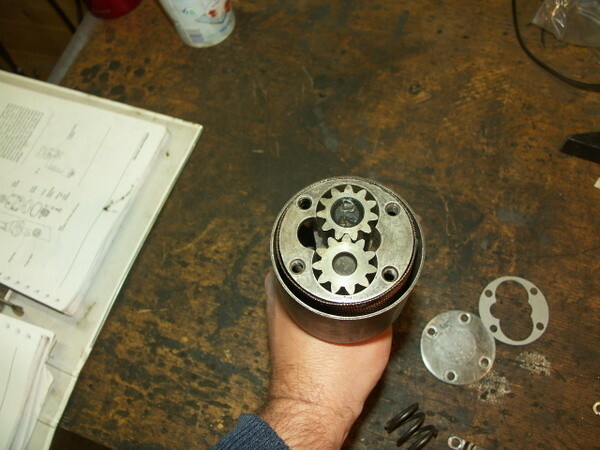 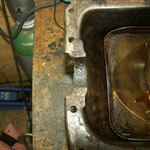 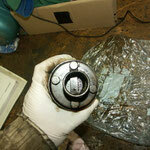 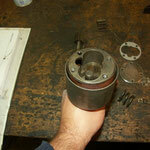 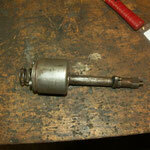 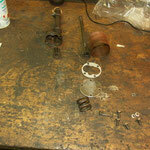 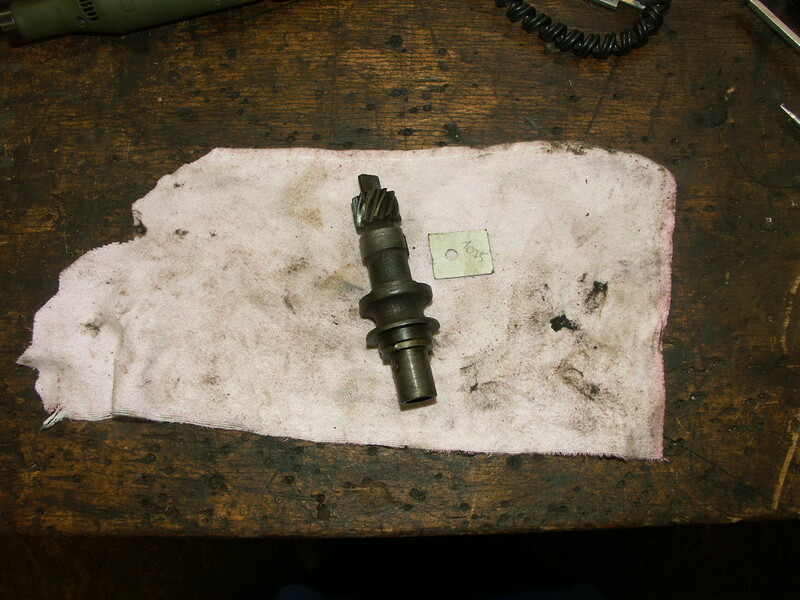 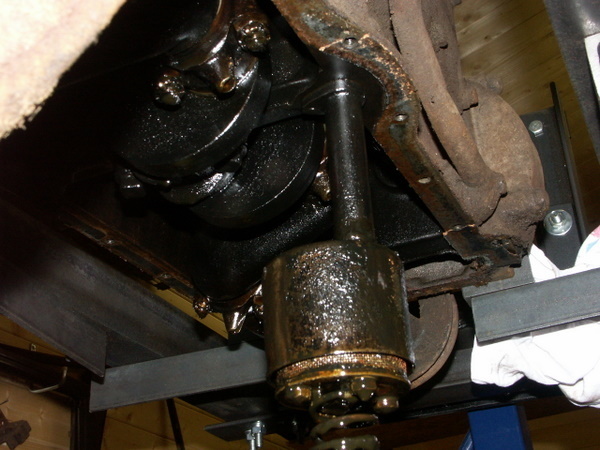 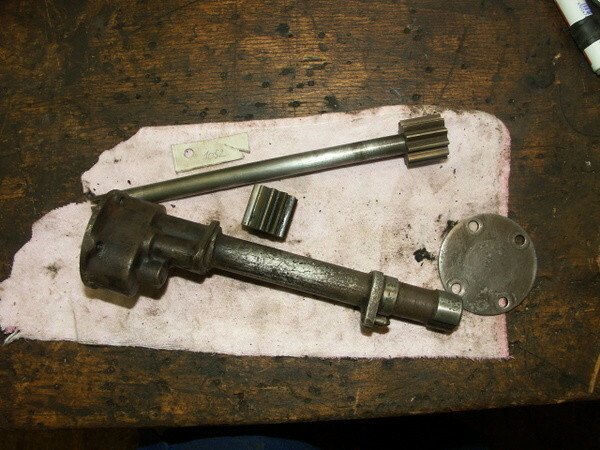 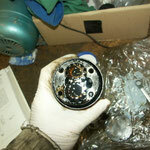 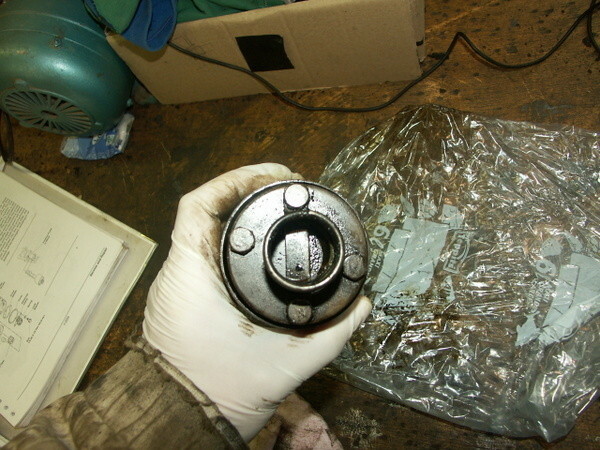 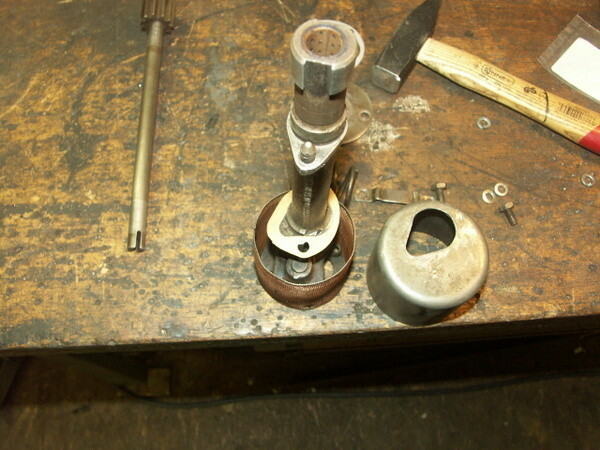 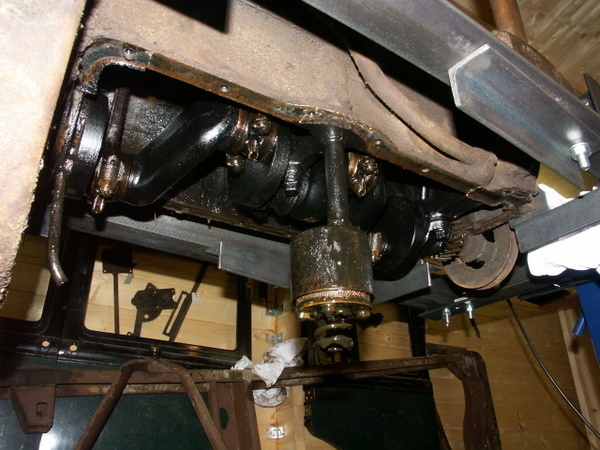 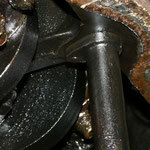 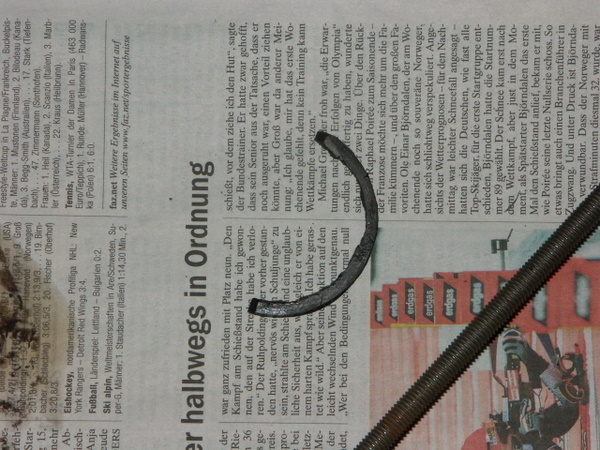 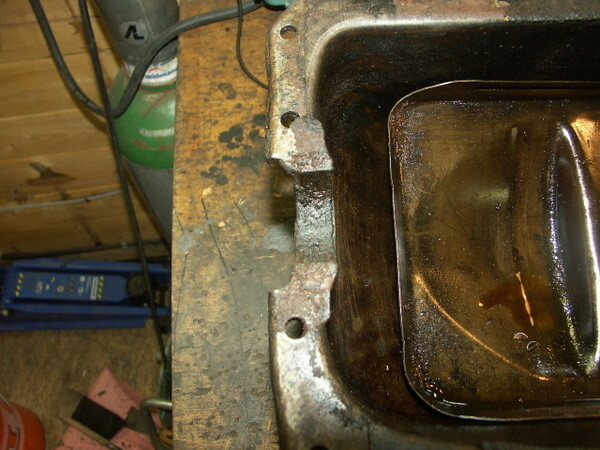 Reassembly of the oil pump: The cover could aesliy hammerd on the shaft, as there are no screws (and have never been).